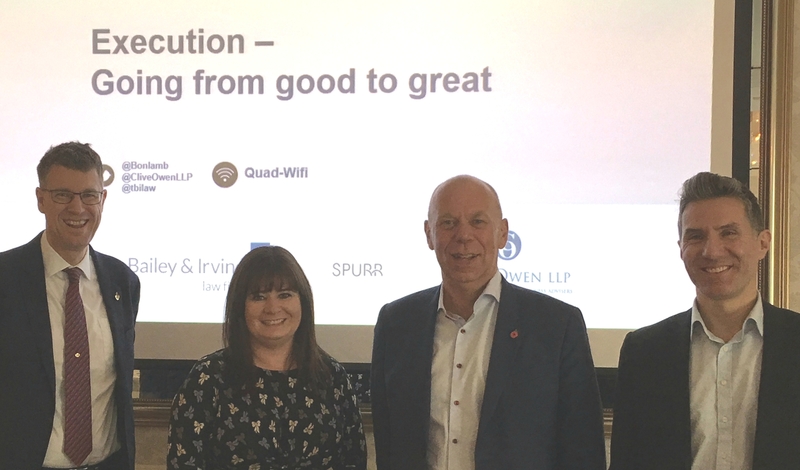 Our autumn strategy breakfast (run in conjunction with Clive Owen and Tilly Bailey & Irvine Law) built on first of the series in June 2017 which covered how to develop winning strategy in uncertain times. At the breakfast session SPURR covered the essential things needed to ensure great execution regardless of industry or size, including: the right type of process; understanding the scale of change; building a culture of execution and performance dashboard development and usage. The event was honoured to have ex Soil Machine Dynamics CEO and current NELEP Chair, Andrew Hodgson sharing his experience of leading strategic change in advanced engineering businesses across the globe. The importance of a ‘can-do’ organisational culture came through strongly as did the need to be able to make execution agile even when the stakes are high. Plans are underway for the events in spring and summer 2018, each of which will focus on a strategy hot topic, so if any business has an issue or topic they’d like us to cover, just get in touch.